The Mobile Coffee Bean have been at the forefront of the freshly ground mobile coffee revolution for a number of years. 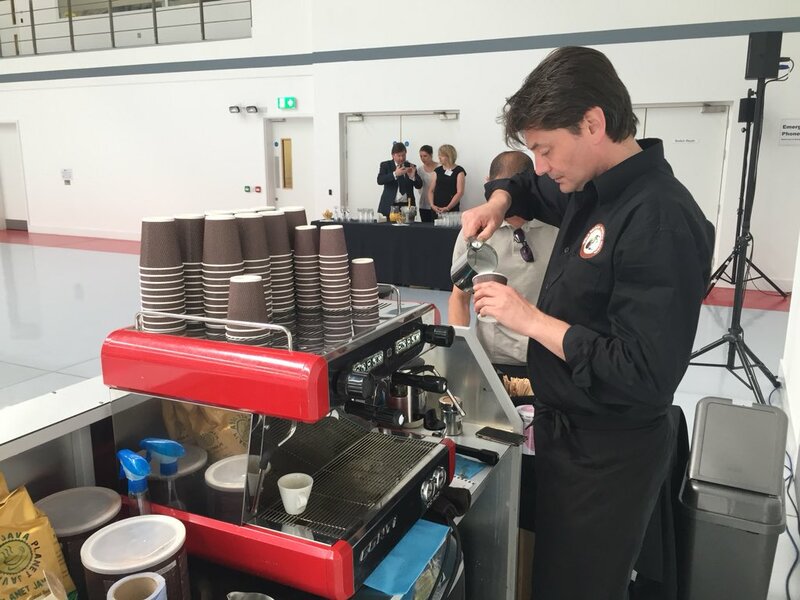 We are specialists when it comes to providing any event with a barista quality mobile event coffee experience. Our own experience includes providing a mobile event coffee service to many events, large or small, indoors and outdoors. Furthermore, we even take our mobile event coffee to film and TV sets / locations near and far. 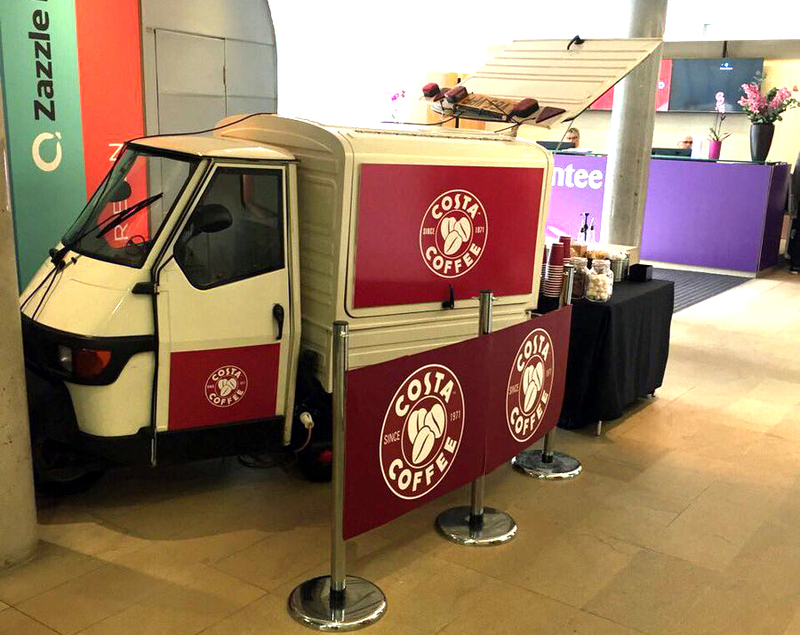 We have a fleet of compact mobile coffee bars and Piaggio Ape Gull Wing mobile coffee vans and carts at your disposal, that will enhance your event. We also provide friendly uniformed professional baristas serving Italian roasted coffee with a smooth full roasted blend of South American Arabicas and Indian Robusta beans. 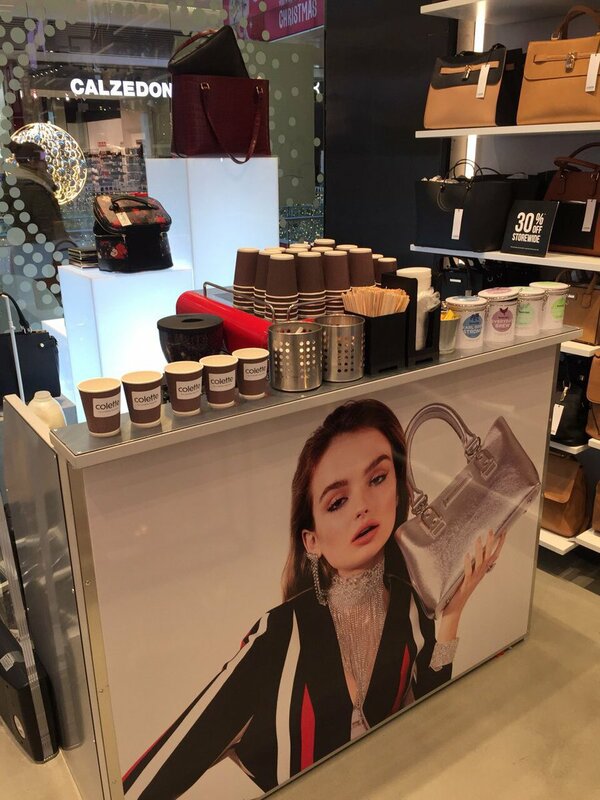 The mobile event coffee service that we provide is something that your event will certainly be remembered for. Finally, coffee has become more than just a social occasion. 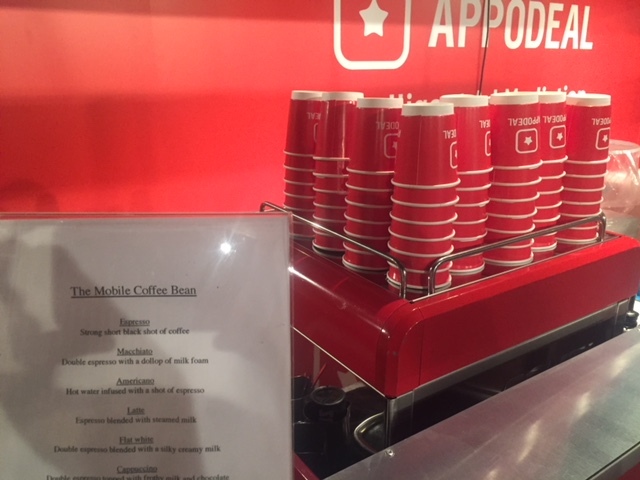 With a mobile event coffee service we guarantee that we will make your event stand out from the crowd. 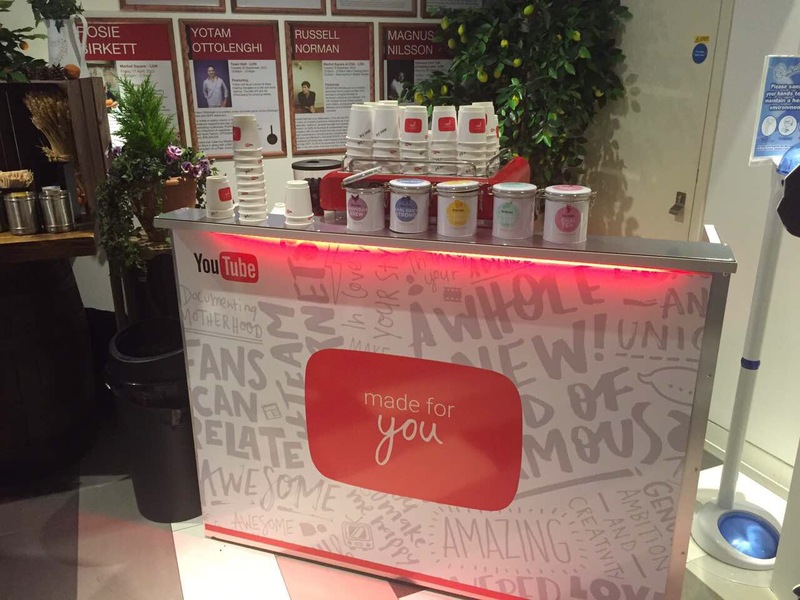 Our mobile event coffee service drives foot traffic through any exhibition stand. It also enhances a corporate event or office space and adds the finishing touch to a private event or wedding. 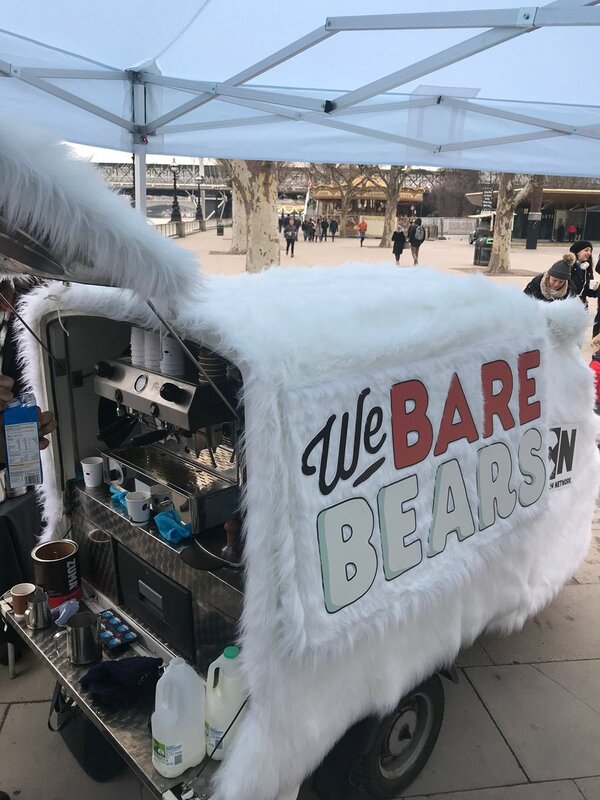 Our mobile coffee vans, carts and bars are all blank canvases. Mobile coffee branding is a cheap and effective way for you to promote your company or product. Our mobile coffee branding not only includes our vans, carts and bars, but also cups and coffee art. Imagine your logo on the frothy top of a tasty cappuccino!